“We stand at a critical point in history. Already at the beginning of the year we are facing the largest humanitarian crisis since the creation of the UN,” UN Emergency Relief Coordinator Stephen O’Brien told the Security Council today. Without collective and coordinated global efforts, he warned, people risk starving to death and succumbing to disease, stunted children and lost futures, and mass displacements and reversed development gains. “The appeal for action by the Secretary-General can thus not be understated. It was right to sound the alarm early, not wait for the pictures of emaciated dying children [...] to mobilize a reaction and the funds,” Mr. O’Brien underscored, calling for accelerated global efforts to support UN humanitarian action on the ground. Turning to the countries he visited, the senior UN official said that, about two-thirds of the population (more than 18 million people) in Yemen needed assistance, including more than seven million severely food insecure, and the fighting continued to worsen the crisis. 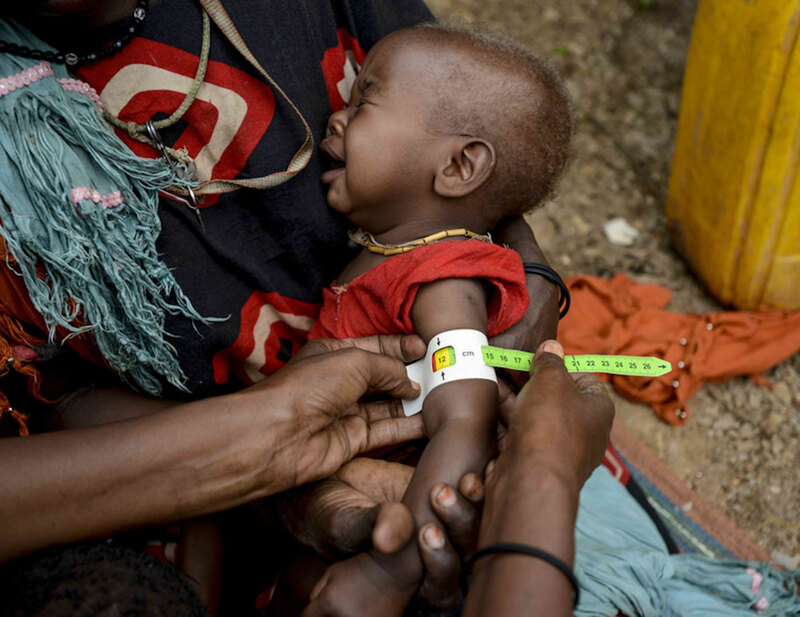 “The current indicators mirror the tragic picture of 2011, when Somalia last suffered a famine,” recalled the UN official, but expressed hope that a famine can be averted with strong national leadership and immediate and concerted support by the international community. Concerning Kenya, he mentioned that more than 2.7 million people were food insecure, and that this number could reach four million by April. “In collaboration with the Government [of Kenya], the UN will soon launch an appeal of $200 million to provide timely life-saving assistance and protection,” he informed. Further in his briefing, Mr. O’Brien informed the Council of the outcomes of the Oslo Conference on the Lake Chad Basin where 14 donors pledged a total of $672 million, of which $458 million is for humanitarian action in 2017. “This is very good news, and I commend those who made such generous pledges,” he said but noted that more was needed to fully fund the $1.5 billion required to provide the assistance needed across the region. On the UN response in these locations, Mr. O’Brien highlighted that strategic, coordinated and prioritized plans are in place and dedicated teams on the ground are closely working with partners to ensure that immediate life-saving support reaches those in need. “Now we need the international community and this Council to act,” he highlighted, urging prompt action to tackle the factors causing famine; committing sufficient and timely financial support; and ensuring that fighting stops.